We welcome any individual, church or other corporate body as members of OHCT. All our members share our values; to repair and restore our county’s church heritage, enabling the church buildings to be used by all ages and abilities. 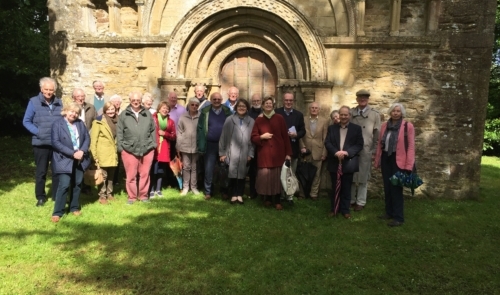 Currently, we have about 500 individual members and over 200 corporate members, mostly made up of PCCs and similar bodies responsible for the churches, chapels and other places of worship which the Trust has supported. Minimum subscriptions are £20 for individuals, £30 for couples and families and £25 for churches and any other corporate body. We provide a variety of events for our members, including cathedral, church and garden tours, a summer reception and the annual autumn lecture,given by a distinguished speaker. As our events get booked up fast, our members benefit from access to early bird tickets. Please login or create an account to subscribe.